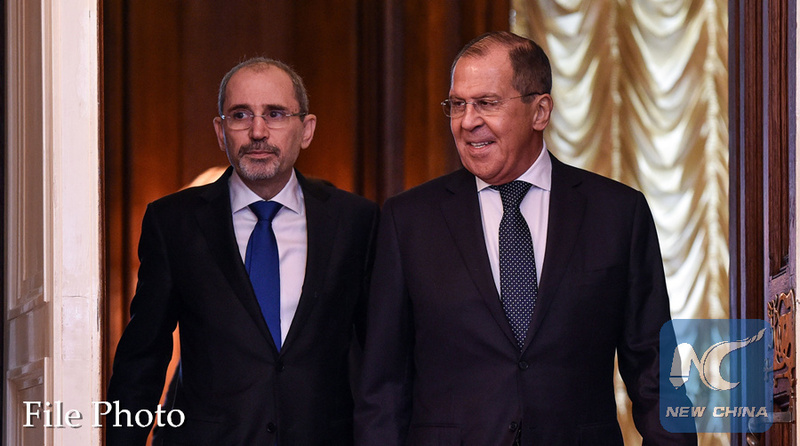 MOSCOW, July 22 (Xinhua) -- Russian Foreign Minister Sergei Lavrov and his Jordanian counterpart Ayman Safadi on Sunday held a telephone conversation and discussed the possibility of future joint efforts on the Syrian issue, the Russian Foreign Ministry said. "The main attention was paid to the development of the situation in the Middle East, primarily in Syria, in the light of the successful anti-terrorist operation in southwestern Syria," the ministry said on its Facebook account. Lavrov stressed the importance of assisting Syria in its post-conflict reconstruction, in particular, the early return of Syrian refugees to their home. Hailing the Russian efforts to facilitate the return of Syrian refugees, Safadi expressed "Amman's full willingness to cooperate to solve related problems", the ministry said. On Saturday, the Russian Defense Ministry said that a Russian military transport aircraft had delivered 44 tons of humanitarian cargo from France to Syria.